Dear reader, can you help me? I’m struggling to understand why there often is a significant difference between the men’s and women’s courses in both the time trial and the road race at the World Championships. This year in Innsbruck the men’s road race is one of the hardest ever, with nearly 5000m of climbing over 253 km including a climb shortly before the finish, 2.8km long at an average of 11-12%. The women will however be racing 150 km – not including that final climb. I believe 150 km it’s a good distance for us. But my big question is, why can’t we do the same course as the men, and take on the final climb too? When people are talking about Innsbruck, everyone is talking about the spectacular course. But they are mainly talking about the final “wall” with a gradient that peaks at 28%. 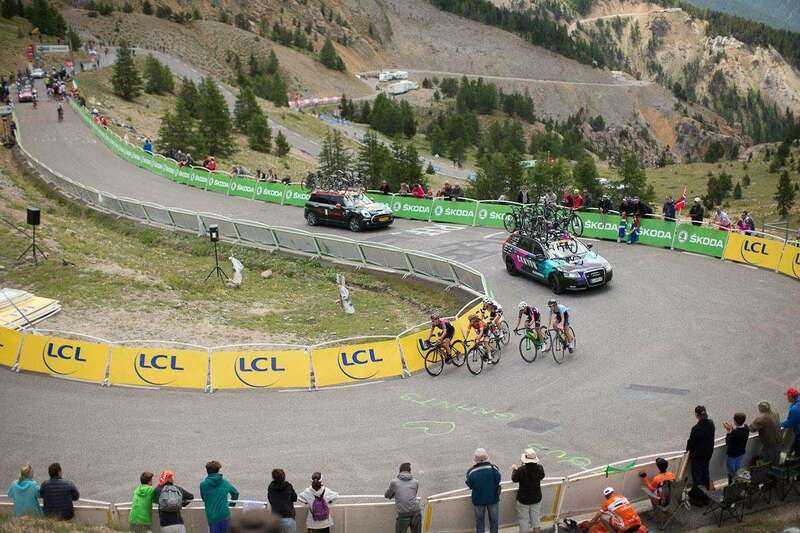 Vincenzo Nibali stated after his recon that – “The final climb looked like a mountain bike endurance race, it’s so hard”. I think it’s really sad the women are not racing it too. The same applies for the ITT. The men will do a 5km climb with an average gradient of 7%, but yet again that’s left out on the women’s course. Why is there a huge difference between the genders? Is it because they think we are weak? Or not capable of racing these climbs? It was the same picture last year. The time trial in Bergen ended for the men on top of Mount Fløyen – 3,4 km, at an average of 9%, adding a possible bike change scenario. The women didn’t get to do that. Every year it seems there is something spectacular, or crazy for the men. But that’s not the case for the women. Do I sense a hidden discrimination? I know the men are clearly racing faster, but we are not completely lost. Last year in La Course for example Annemiek Van Vleuten managed to get the third fastest time on the Strava segment ‘last 5km’ of the Col d’Izoard, only beaten by Warren Barguil and Romain Bardet. I know the times are not completely comparable, but my point is that we can do some fine racing on hard climbs as well. I can’t think of another sport where there is such a big gender difference. In swimming for instance you don’t make championships where the long course (50 m pool) is only for the men and the short course (25 m pool) is only for the women. Both men and women do long and short course. It seems that cycling is clinging to old traditions. We need to change that. It’s frustrating that it feels like we are often a sideshow or a warm-up act for the men. I believe we need to have this discussion and I encourage everybody to participate. What do you guys think? Let me know! Next up for me – the Women’s Tour, a race which really appreciates the women’s peloton and treats us equally. See you on the road!